B.J. Foley grew up in Corbin, Kentucky. He graduated from the University of the Cumberlands in Williamsburg, KY, obtaining his degree in Business Administration. Thereafter, he obtained a Juris Doctorate from the Thomas M. Cooley Law School in Grand Rapids. He has been admitted to the Kentucky Bar since 2009. B.J. began his legal career working for Croley & Associates, P.S.C. He is now a partner with the Croley, Foley & Cessna firm. B.J. is was admitted to practice in the state of Kentucky and U.S District Court for the Eastern District of Kentucky. B.J is a member of The Kentucky Bar Association, Whitley County Bar Association, Laurel County Bar Association, Kentucky Justice Association, American Bar Association, and The Kentucky Association of Criminal Defense Lawyers. B.J’s primary areas of practice are federal and state criminal defense, personal injury, family law and civil litigation. B.J Foley graduated from the University of Cumberlands in Williamsburg, KY, obtaining his Bachelors Degree in Business Administration. Thereafter he obtained a Juris Doctorate from the Thomas M. Cooley Law School in Grand Rapids, MI in 2009. He was admitted to the Kentucky Bar on October 12, 2009. He was admitted to practice in the U.S District Court for the Eastern District of Kentucky later that same year. 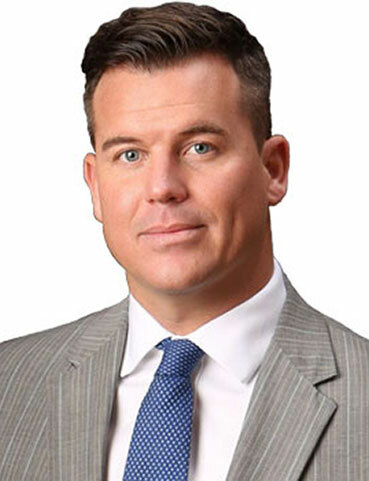 After graduating from law school, B.J began working as an associate for Croley & Associates. He is now a partner with Croley, Foley & Cessna. B.J is a member of The Kentucky Bar Associatio, Whitley andn Laurel County Bar Associations, Kentucky Justice Association, American Bar Association, and The Kentucky Association of Criminal Defense Lawyers. B.J’s primary areas of practice are federal and state criminal defense, personal injury litigation, and family law.